Nucleonix Systems :: Manufactures and Suppliers of Nuclear Instruments and Systems. 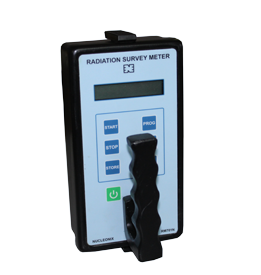 Nuclear Instruments | Nuclear Counting Systems | Radiation Detectors. 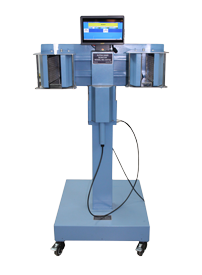 Nucleonix Systems (P) Ltd. is a registered company in India, founded in the year 1990, is primarily engaged in design, development, manufacturing and supplying of Nuclear radiation measuring and Allied Instrumentation. Product range offered by Nucleonix Systems caters to various market segments. Choose your option from the list given below to navigate and select product(s) / product segment of your interest. By selecting this option, one can view & navigate through complete product range offered by the company covering all the market segments. Classification, under this is based on the nature of electronics, instrument type, function & application. "Click on any of the product classes below to navigate"
University Education (Teaching & Research Labs) - in Physics / Engineering Physics / Applied Physics / Nuclear / Radiation Physics / Medical Physics / Radiological Physics / Nuclear Chemistry / Life Science / Radiation Biology / Agricultural Sciences / Nuclear Engineering / Instrumentation Engineering / Environmental Sciences etc. Nuclear Research / Atomic Power Stations / Nuclear waste immobilization plants / Research Reactors / Industrial & Other Radiological Installations, Atomic Mineral Exploration & Mining Industry / Env . Radiation Monitoring / Measurements. Cancer Hospitals / Nuclear Medicine Centers / Radiotherapy Departments / Oncology Departments / Medical Physics Research / Medical Cyclotron PET - CT centres, Industry. These products include Integrated NBC detection systems, for fixed land based locations, Vital installations, VVIP offices and mobiles platforms - Wheeled / Tracked Vehicles / Battle tanks and Ships. Further it includes Radiation monitors / Instrumentation for first responders & other applications for all the three wings of Defence. Nucleonix is an Innovative company, having wide range of products for different market segments. Nucleonix keeps on adapting, latest technologies, in their product designs continuously. I am Professor Sanjay J Dhoble, Department of Physics, R.T.M.Nagpur University, Nagpur, using ‘TL Research Reader’ for my research work, for the past 15 years. It is an excellent product and we have published more than 200 papers on TL in International Journals, using this equipment. Thanks, to Nucleonix Systems for great support. I am Dr.ShreeniwasK.Omanwar, Professor and Head at Department of Physics, SGBAU Amravati, using ‘TL Research Reader’ for my research work, for the past few years.Our group members published many technical papers in International Journals, by working on this instrument.